Her married name became Temple-Gore-Langton. From 25 April 1922, her married name became Temple-Gore-Langton. 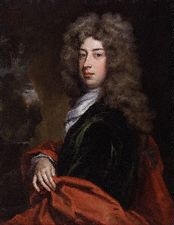 Child of Elizabeth Darcy and Sir Ralph Milbanke, 4th Bt. He succeeded as the 4th Baron Byron of Rochdale, co. Lancaster [E., 1643] on 13 November 1695.1 He was Gentleman of the Bedchamber to George, Prince of Denmark.4 His last will was dated from 17 April 1725 to 4 December 1725. [S6] Cokayne, and others, The Complete Peerage, volume II, page 455.